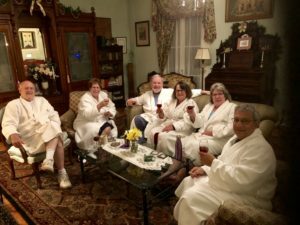 Group Events of every kind are made special at The Rookwood Inn. You’re planning a get-together, or getaway, with friends you haven’t seen in a while. Perhaps they’re college friends (with or without spouses) or your favorite cousins–maybe it’s a girls getaway to celebrate an upcoming wedding, baby’s arrival or other life event. Whatever your specific reason, let us help you make your group event in the Berkshires memorable and stress-free! 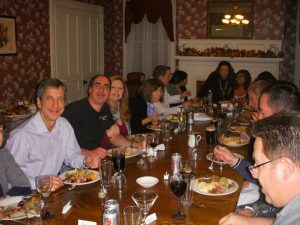 The Rookwood Inn is your ideal location for gatherings, conveniently located between NYC and Boston in the beautiful Berkshires, making us a perfect place to get together midway. We are on a quiet street, only a block from downtown Lenox. Our comfortable, relaxed environment provides the ideal combination of Victorian ambiance and modern amenities to encourage fun and relaxation. You won’t find any stuffiness here. The Rookwood’s devoted staff members are here to make the experience for you and your friends or family special and easy. Our hospitality anticipates your needs, allowing you to be a guest as well! The Victorian ambiance and antiques lend to our uniqueness. The only cookie cutters you’ll find here are in the kitchen drawers. We never try to fit you into a plan; we design the plan with you to meet your needs. We are small enough to provide personal service and care, yet large enough, with twenty guest rooms, to accommodate up to 45 guests. We will set the stage and make your event perfect. We love to coordinate special experiences for guests. Our massage room is the perfect place to melt your troubles away. Therapists are available for individual and couples massages. Whether you prefer hot stone, traditional Swedish, deep tissue, or sports massage we can accommodate your needs. We can arrange lift tickets for downhill skiing, a snowshoe adventure, horse drawn wagon or sled rides, apple picking, wine tasting, cultural events, palate pleasing meals and recommend other activities to enjoy the Berkshires in every season. Immerse yourself in the atmosphere of our Victorian past, make fabulous memories in the present to bring into your future. Family reunions, vow renewals, baby or bridal showers. These are just a few of the special celebrations that we love to host at The Rookwood Inn. Pull together your group, call us, pack your bags and come to The Rookwood Inn! We will handle all of the details from food to decorations to activities. We will handle all of the details from food to decorations to activities.